Health Care Insurance is a way to help pay for your healthcare costs. There are a variety of plans to choose from to fit your health care needs and meet your budget. In addition, to the premium you pay monthly to keep your health care coverage. You might have to pay a co-payment each time you receive medical care. In most cases, the higher your premium the lower your deductibles you pay out of your pocket. We can help you find a plan that best suits your personal situation. Supplement Health Insurance is a form of voluntary insurance meant to offer added protection to an existing health care plan. Its pays for some of the out of pocket costs your current plan does not cover, like co-payments, coinsurance and deductibles. We have plans to supplement major medical and Medicare insurance. Dental insurance is an excellent way to help pay for costs associated with regular dental care. The condition of your oral health can be a good indicator of your overall health. We compare our top dental providers to find an affordable plan that’s right for you. 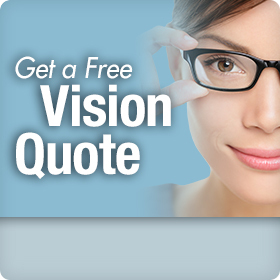 Vision insurance is a type of health plan that pays for some of the basic costs of vision care. Vision plans are meant to help maintain good eye health by saving you money on the cost of prevention and routine care. After comparing multiple vision care insurers, we have a plan for you.